Many people would like to listen to Spotify music on their PS4 console when they are playing games with PS4. Some games even allow people to mute its own background music so as to let users decide their own music while gaming. This would be extremely wonderful for gaming fans. Spotify offers millions of songs, in which there are quite a lot of gaming songs that are suitable for PS4 gaming time. If you also want to know how to connect Spotify to PS4, or how to listen to Spotify music on PS4 without being disturbed by ads, this guide would be your best helper. 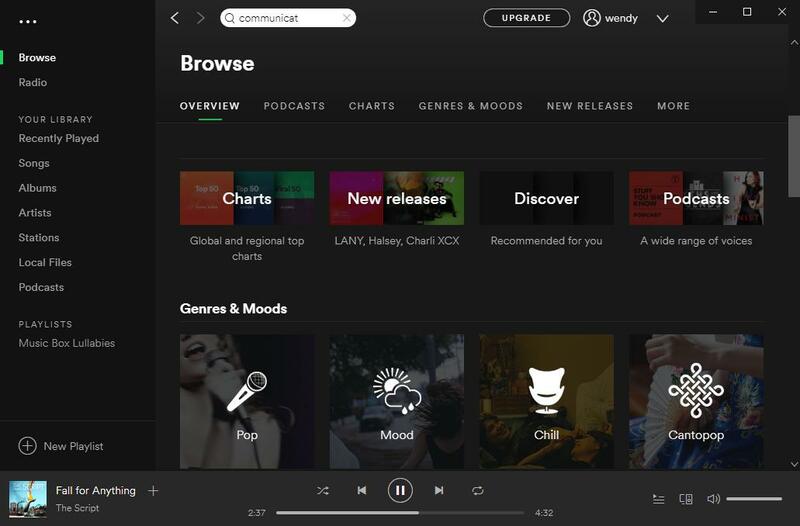 It offers multiple solutions on how to connect Spotify to PS4, be it Spotify free or Spotify Premium. As known to all, Sony’s PlayStation 4 (PS4) is one of three major video game consoles currently on the market, alongside Microsoft’s Xbox One and the Nintendo Switch. It was released in late 2013 as part of the eighth generation of the video game console. With PS4, you could play games of various kinds, watch live streams, play back videos, listen to music, etc. On the other hand, Spotify is an online digital music, podcast, and video streaming service that gives you access to millions of songs and other content from artists all over the world. You could listen to unlimited music on Spotify, even if you are a free plan user. Spotify offers 2 plans: Free and Premium. The free plan of Spotify allows you to browse and search music you like for free listening, get music recommendations, create music stations, and see what others are listening. However, the free plan forces you to listen to ads every 3 or 4 songs on Spotify. Spotify Premium has all basic features that Spotify Free plan gets, but delivers ads-free listening experience. The Premium plan even allows you to set Spotify music in offline mode for offline listening on up to 3 devices. But you have to pay for the Premium plan at $9.99 per month. 1. Download PlayStation Music on your PS4. 2. Start it on your PS4 and then log in through Spotify Connect from your smartphone or tablet’s Spotify app. 3. Make sure your device is connected to the same Wi-Fi network as your PS4 and then open up the Spotify app on your smartphone or tablet. 4. Play a song and tap Devices Available on your mobile device. 5. Select your PlayStation® console from the device picker and start listening. This is quite easy for you. However, you need to know that if you don’t upgrade to the Premium plan of Spotify, you will hear so many ads every 3 or 4 songs. This will highly decrease the gaming experience. Therefore, we would like to recommend you another way to play Spotify music on PS4 below in different tools. You could download Spotify music and then transfer the downloaded Spotify music to your PS4. Below content would show you how to download Spotify music with different Spotify music downloader tools. It should be noted that Spotify songs have been DRM protected for long. 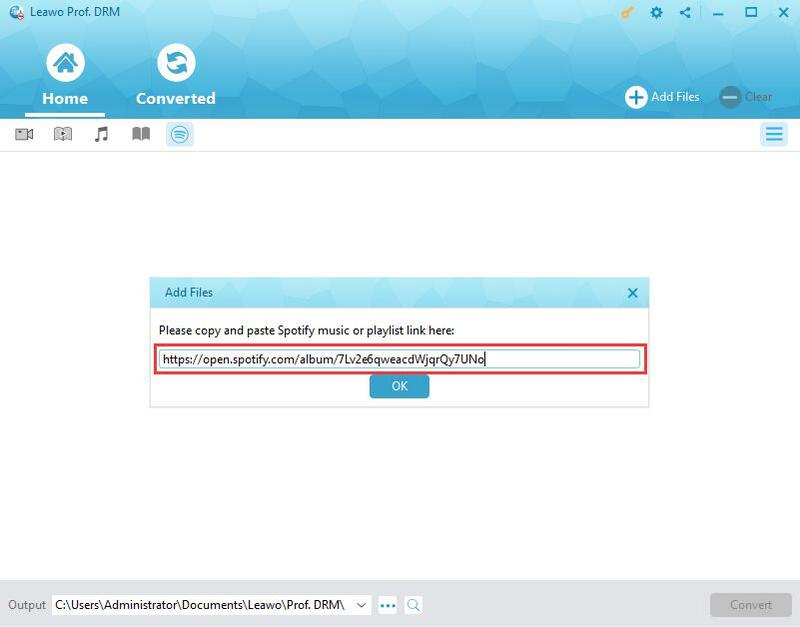 Therefore, to download Spotify music, you will need Spotify music DRM removal and Spotify music downloader combo. Leawo Prof. DRM is exactly what you need. 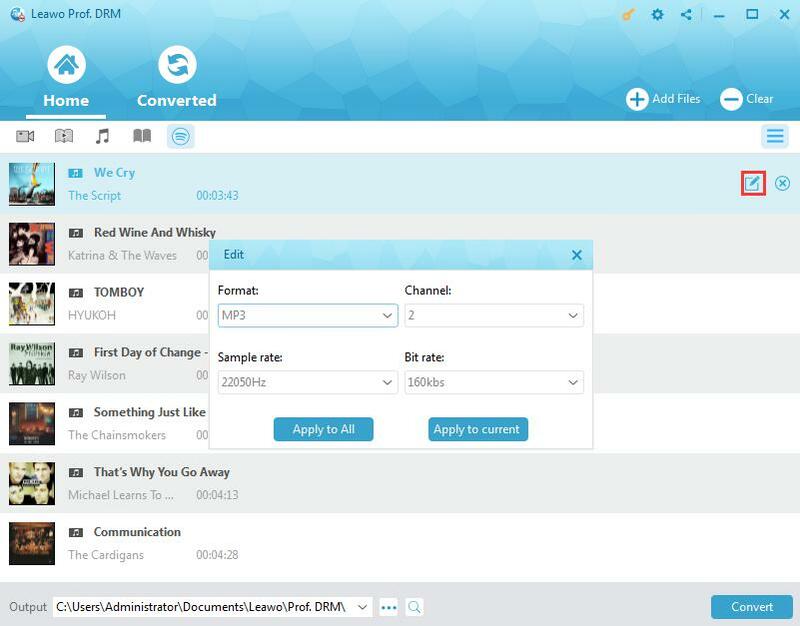 Featuring a professional Spotify music downloader inside, Leawo Prof. DRM could help you easily remove the DRM protection and then convert Spotify music to MP3, M4B, M4A, AAC, WAV, FLAC audio files with high quality. 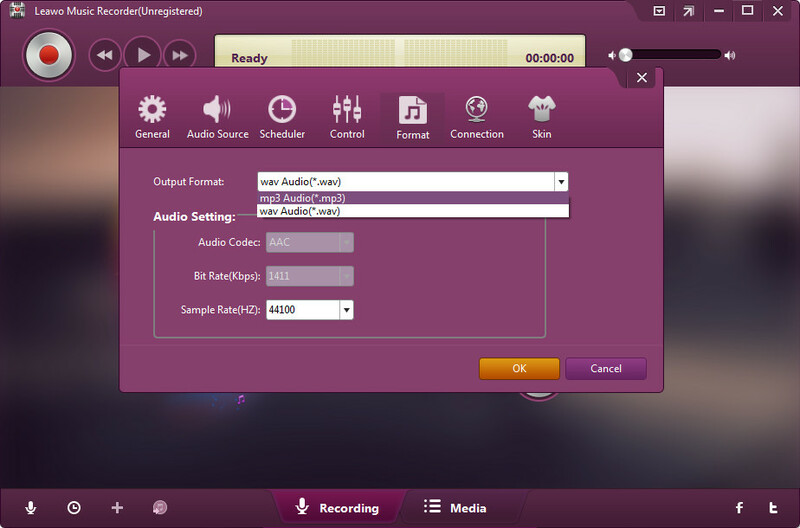 What’s more, it enables you to set the output audio sample, channel and bit rate to maintain the audio quality. Even you are a Spotify Free plan user, Leawo Prof. DRM would automatically filter the ads for you. You don’t need to pay extra cash for Premium plan at $9,99 per month. Download and install Leawo Prof. DRM on your computer first. The below steps would let you know how to download Spotify music for PS4. Launch Leawo Prof. DRM, and then directly drag and drop songs from Spotify desktop app to this Spotify music downloader. You could also add Spotify music playlist to Leawo Prof. DRM for downloading. To do this, firstly open the “Converted” tab, click the Spotify icon there, copy and paste the URL of target Spotify music playlist from Spotify into the address bar on Prof. DRM. Then, click “OK” button. After loading Spotify songs, click the pencil icon on each loaded Spotify song title to set output format and sample rate, bit rate, audio channel. MP3, AAC or FLAC format is recommended since they are accepted by PS4. Then choose either “Apply to All” or “Apply to current” after setting. At the bottom of Leawo Prof. DRM, set output directory in the “Output” box. Press the blue “Convert” button at bottom right to start to download and convert Spotify songs for PS4. When the conversion completes, you could then import the downloaded Spotify music to your PS4 for listening. Leawo Music Recorder is another Spotify music downloader program that could get rid of the Spotify music DRM protection and then convert Spotify music to DRM-free MP3 or WAV audio files for PS4. 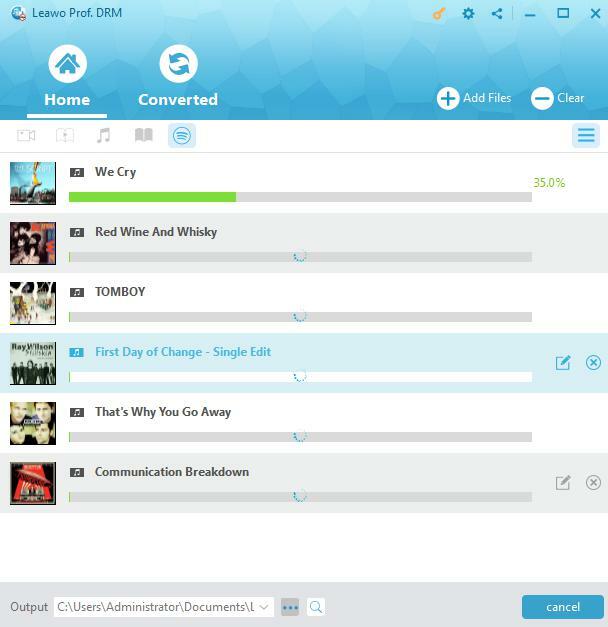 Different from Leawo Prof. DRM, Leawo Music Recorder downloads Spotify music via recording, and adds music tags to downloaded Spotify music files for better management. Download and install Leawo Music Recorder. 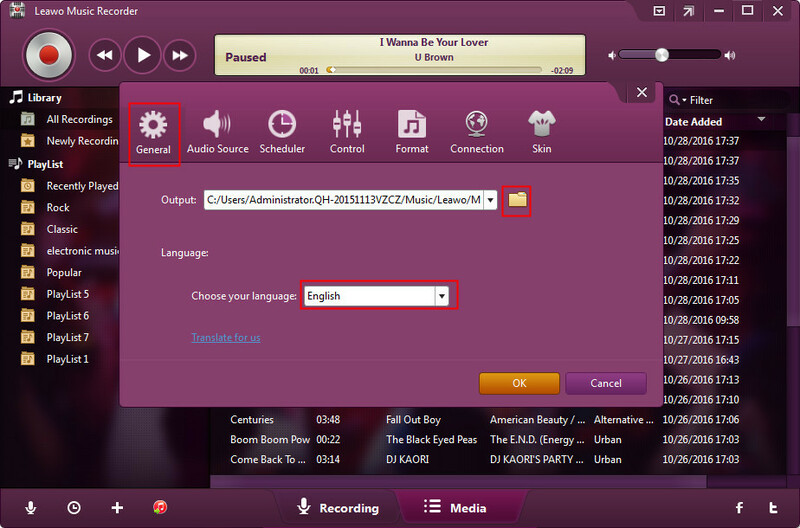 The below steps would show you how to download Spotify music with Leawo Music Recorder. 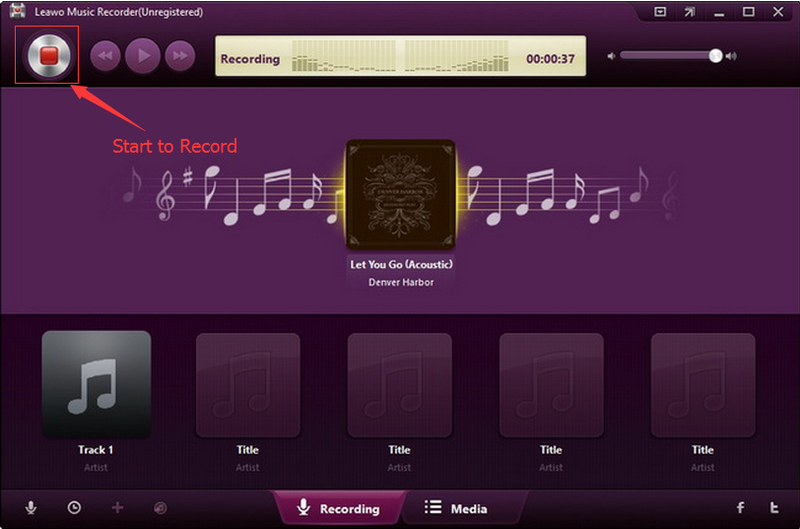 After launching Leawo Music Recorder, click the microphone icon on the interface. Under the “Audio Source” tab, choose “Record Computer Audio” option. Go to the “General” tab to set output directory for saving the final downloaded Spotify songs. You could also switch the program UI language here. Open the “Format” button to choose MP3 Audio as output format from the “Output Format” box since PS4 accepts MP3, and adjust audio settings including Audio Codec, Bit Rate and Sample Rate according to PS4 requirements. After setting output format, click the yellow “OK” button to save and exit. Then, click the red button to start recording and open your Spotify software or web app to play the song you want to download. Click the red button again to stop recording. Note: It’s important to click the recording button before you play back Spotify songs. 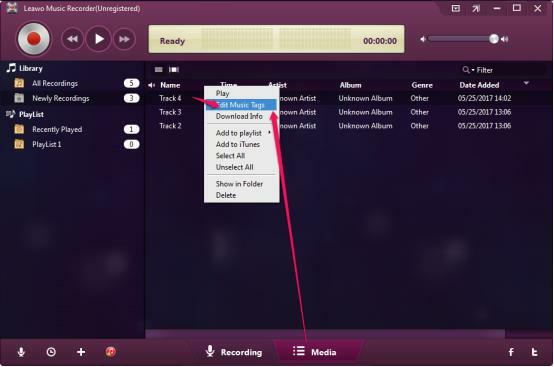 During recording, Leawo Music Recorder could automatically download and complete music tags like artist, album, cover, genre, etc. 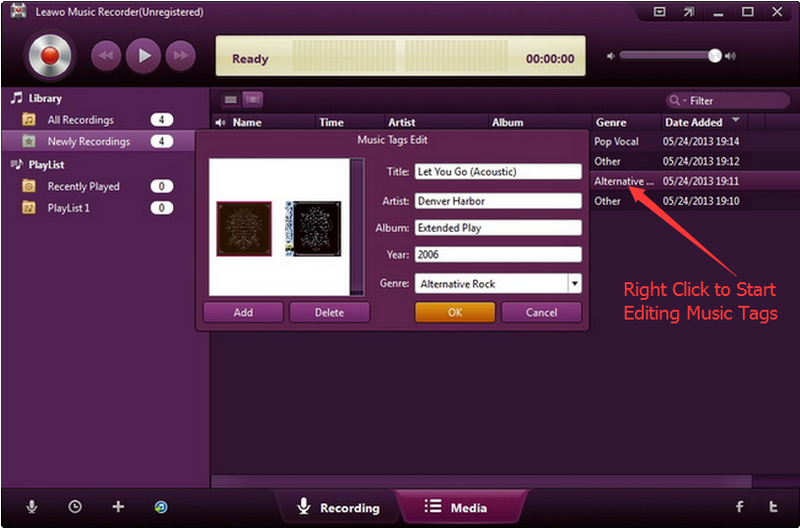 But after recording, you could right click any recording and then choose “Edit” option to manually edit these tags. With Spotify music downloaded, you could now transfer the downloaded Spotify music to your PS4 through USB drive. As a professional audio recording software program, Leawo Music Recorder could help you record any sound it could capture in and outside of your computer to audio files in different formats. 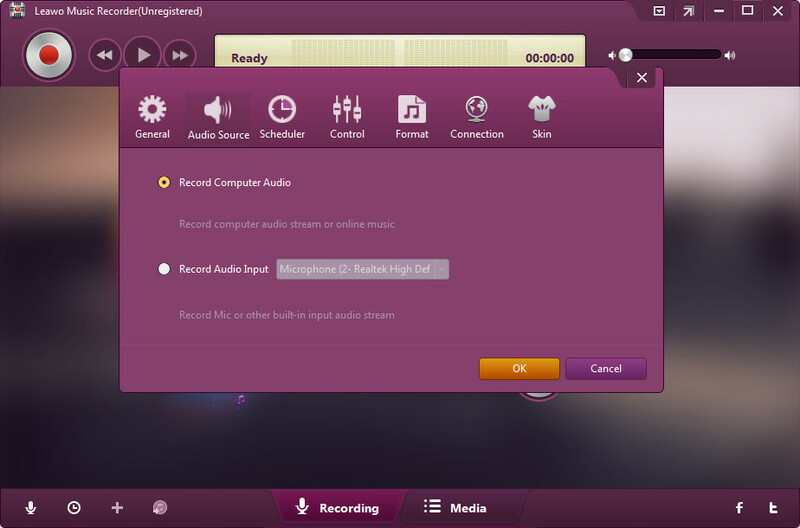 It could help you record online streaming music to MP3, record built-in audio to MP3 or WAV, etc. Now, let’s talk about how to import external music to PS4 after we have downloaded Spotify music to local drive for offline listening on PS4. Your PS4™ system can play music files from a USB storage device. You can listen to music in the background without interrupting games, the Internet Browser, or other applications. 1. Use your computer to create a folder called “Music” on the USB storage device. 2. 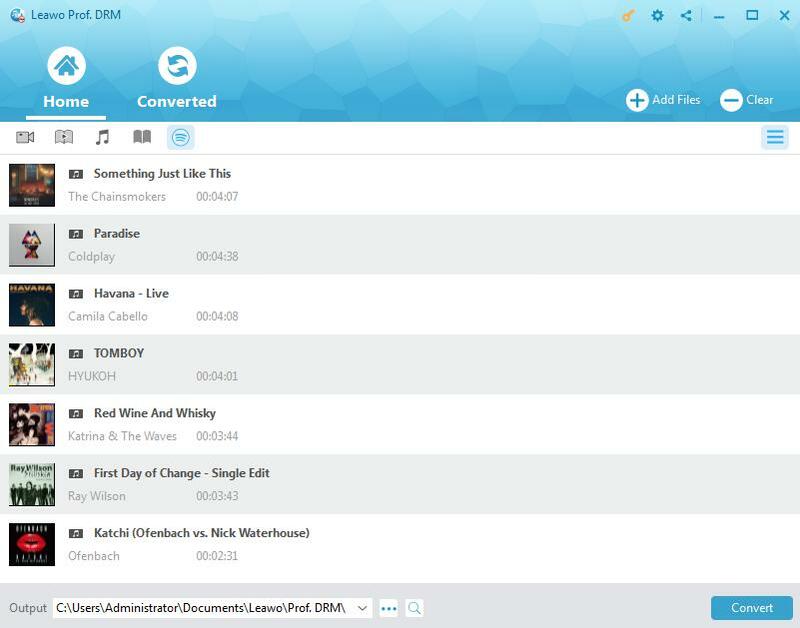 Copy your music files to the “Music” folder in USB device. 3. Connect the USB storage device to your PS4™ system. 4. Open library icon in the content area. 5. Select “USB Music Player” icon in the content area. 6. Select the music you want to play. Now, you could freely play back downloaded Spotify music on your PS4 in the background without disturbing gaming experience. It should be noted that only FAT and exFAT formatted USB storage devices are supported. For your convenience and information, we have made a comparison table below to show you the differences of Leawo Prof. DRM and Leawo Music Recorder in a more straight way. Just check them below and choose your desired one. 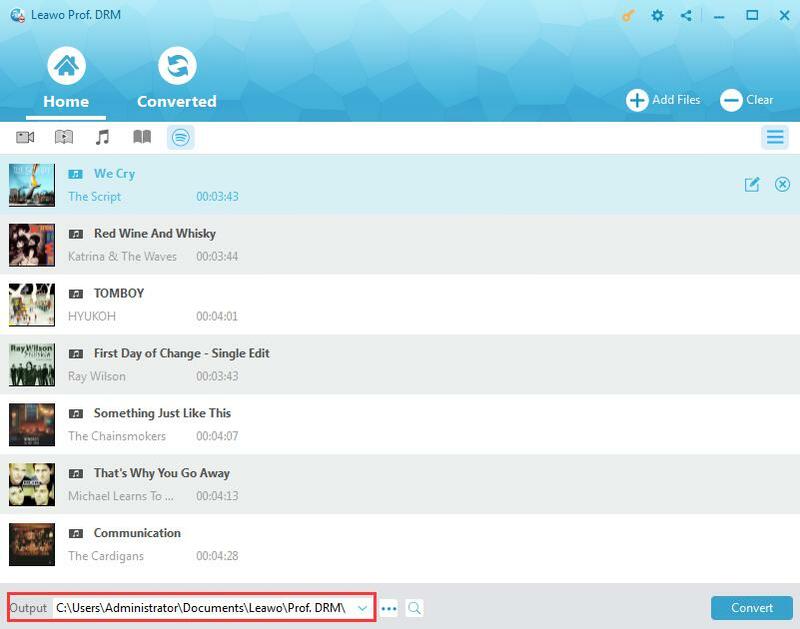 Obviously, we could know that Leawo Prof. DRM would be better for Spotify music downloading, while Leawo Music Recorder is much better for online music recording like radio recording and streaming music recording. Leawo Music Recorder offers better music management experience, while Leawo Prof. DRM offers better DRM removal and Spotify music downloading experience.